Discussion in 'General Fantasy' started by SwanofWar, Jun 29, 2013. I don't necessarily mean your favorite, cause lets face it, if I got to have dragons around, we'd all have some problems lol. On that note, the creature I'd wish for is Brownies. Brownies are a type of Folk that live in human homes and help clean and upkeep the home, expecting little in return besides the occasional gift of cream and sugar and some scrapes to make clothes out of. I would LOVE having these kind and humble little helpers around personally. What about you? What creature do you wish was around and why? Also: a "house hippo" that bathes in my cat's water bowl. Now that would be cool! Druid of Lûhn The Little Lamb. This is a hard one, but as SJ said; fairies (if not evil ones) would be quite nice to have and play with. 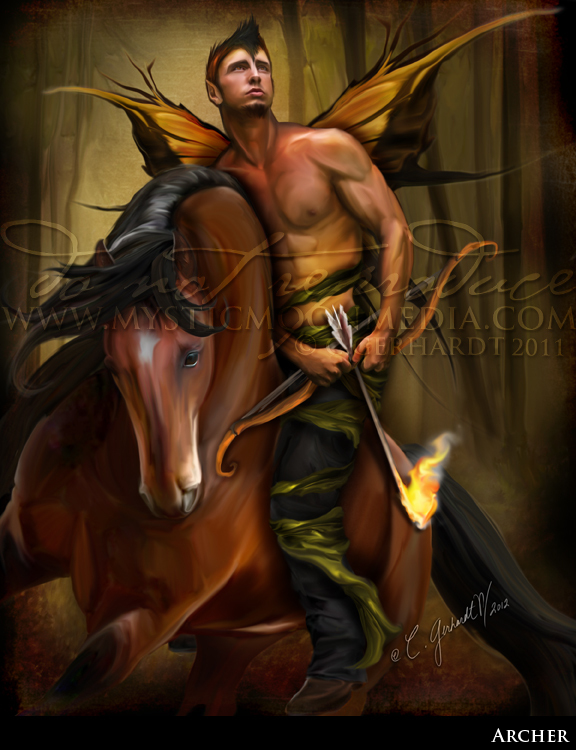 I would like Centaurs, I think having Centaurs in the world would be really awesome! LOL If not then fairies would be cool even though they are a bit panzy. Taliesyn It's a feral reality out there, kids. Smurfs. Then I could make smurf kebabs and I'd get to feel all evil like Gargamel. not all fairies are "panzy"
But we do have smurfs in Belgium; just go down to the Ardennes and you might happen across them once in a while. Lol, had to look up the house hippo one, a tiny hippo would be adorable! What a fun pet! A tiny elephant that could fit in your purse would be an awesome thing to have around too ^^ As for fairies, they can be fun, but annoying too. They like to make nests out of human hair and sometimes bite or steal too. But they ARE very pretty and can be sweet too, especially if you share sweets with them. I love centuars, being one would be fun too I think. Curious, though, why you'd like them around specifically? LOL Douglas Adams FTW....eh, I guess it does XD A sentient animal that wants to be eaten, that is so right and SO wrong at the same time lol. But yes, a viable suggestion. Leprechauns, pot o gold included. Well, I just booked a plane ticket. Expect a visit! Hey, not my fault that they look so tasty! Haha, yeah, I've been in love with centuars ever since I saw them in Disney's Fantasia as a kid Don't see the female ones often enough though sadly, they're so pretty! I love writing about their culture and stuff too. They're a protected species though! They are? What's the penalty for harming one then? I would love to have a tiny koala-type animal that I could just have curled around my arm or leg. Can't be too bad I don't think; if you get Clumsy or Angry, I don't think people'll mind too much. We actually have Haribo Smurf sweets here, right shape and colour and everything. Looks like a bush-baby, although I was thinking smaller. And maybe with wings so that it could fly around. Basically I'd like a mini-griffin or mini-dragon.